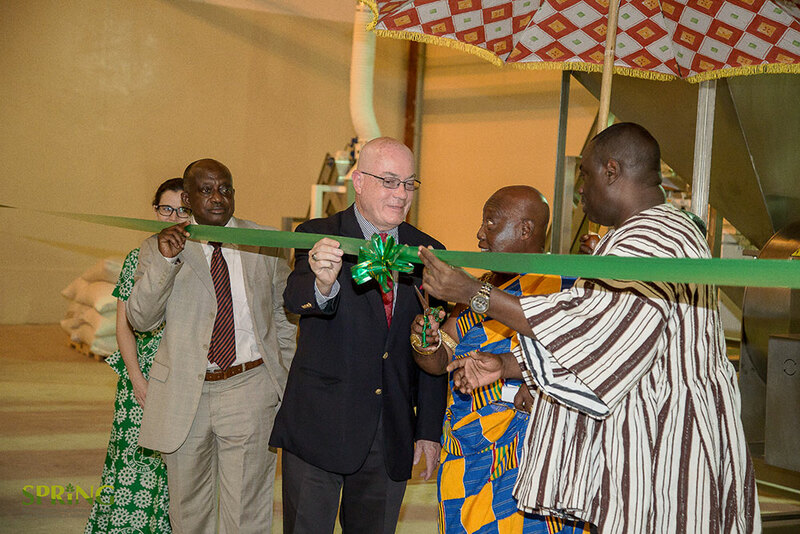 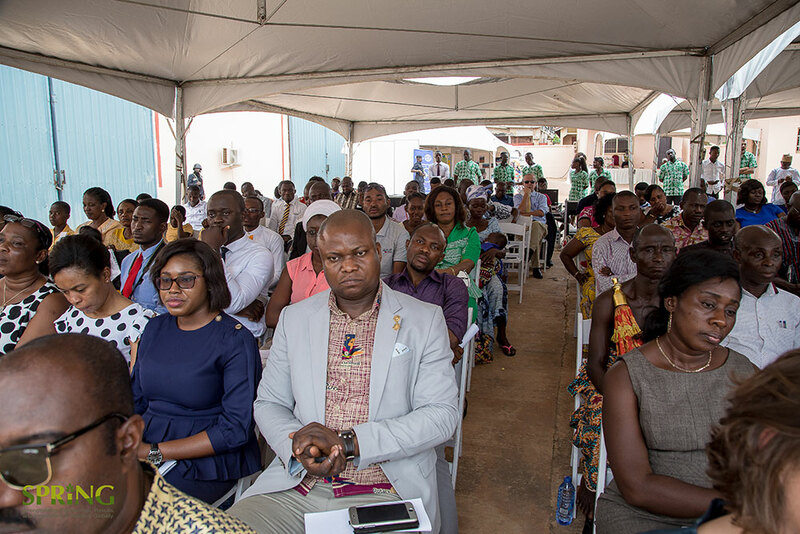 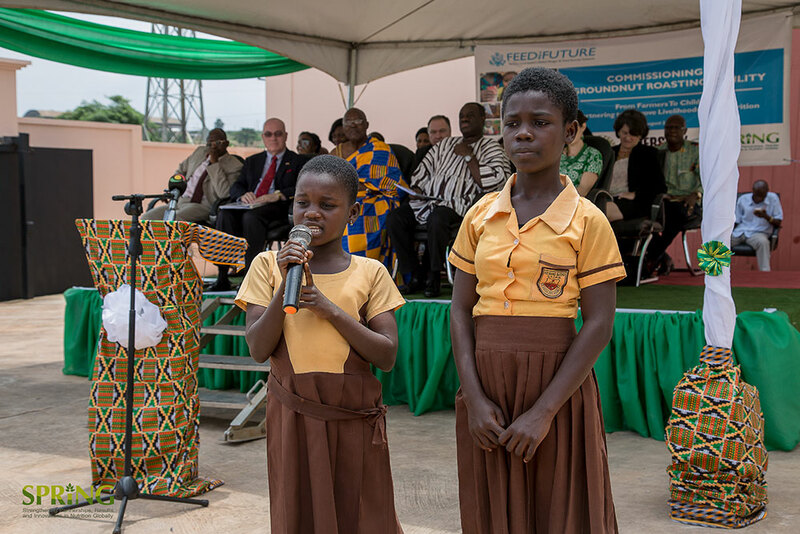 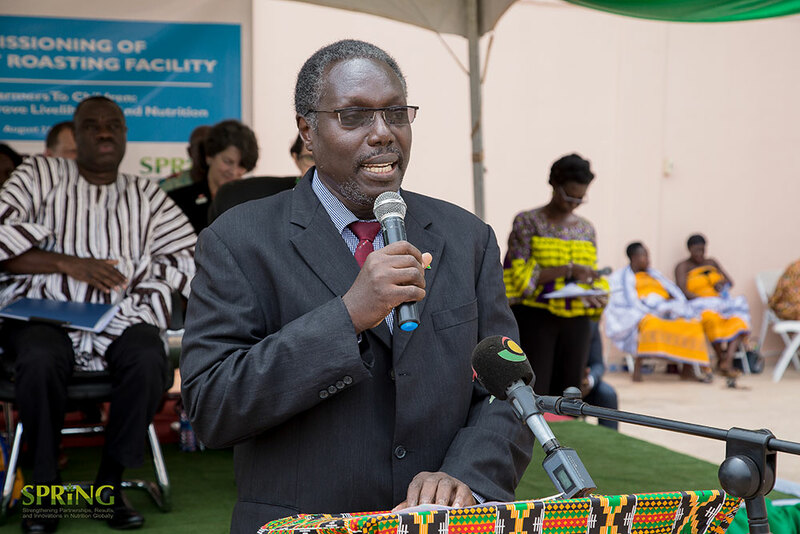 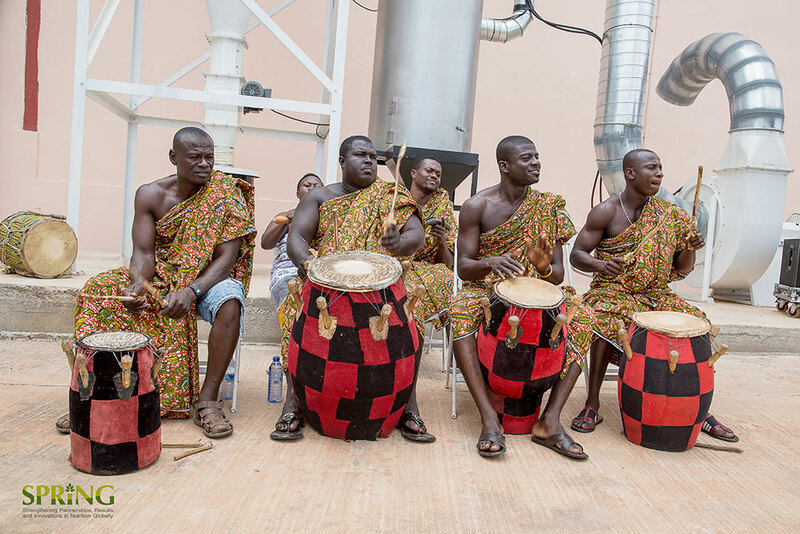 On August 21, 2017, SPRING participated in an event commemorating the launch of nut roasting equipment in Kumasi, Ghana. 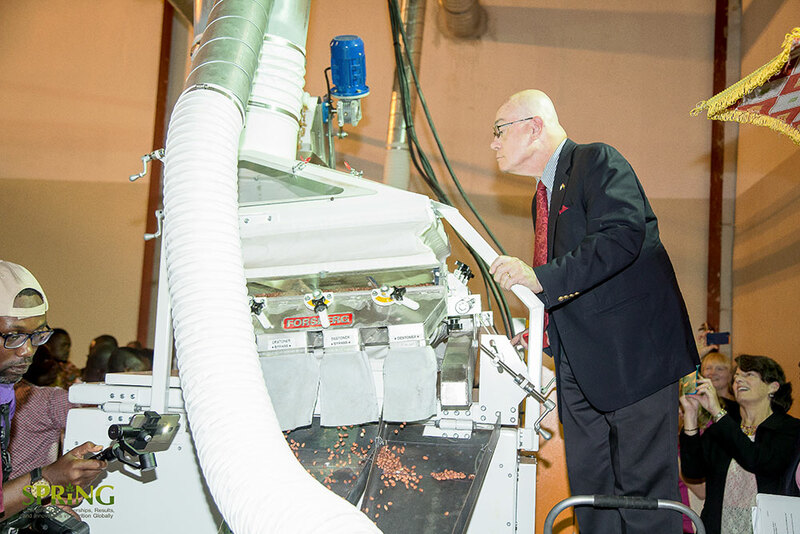 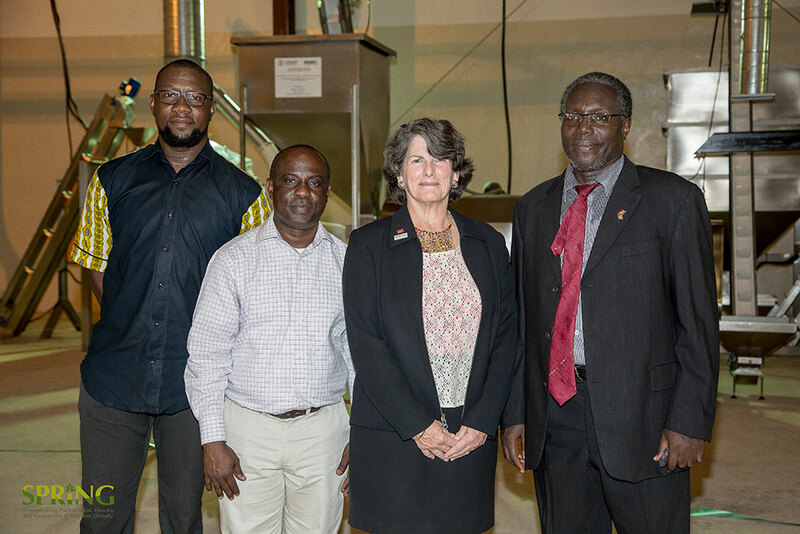 This equipment was purchased through SPRING as part of the public-private partnership between USAID and Hershey, to be used by Project Peanut Butter in their work to provide safe, nutritious foods to children in Ghana. 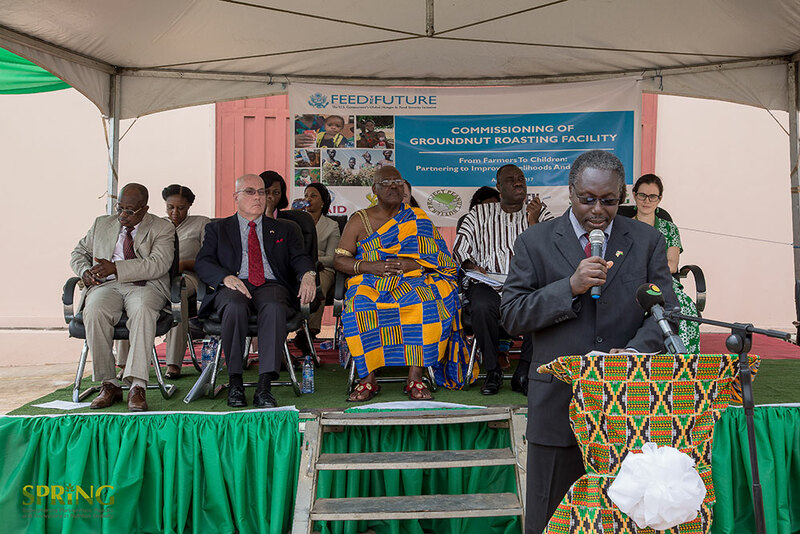 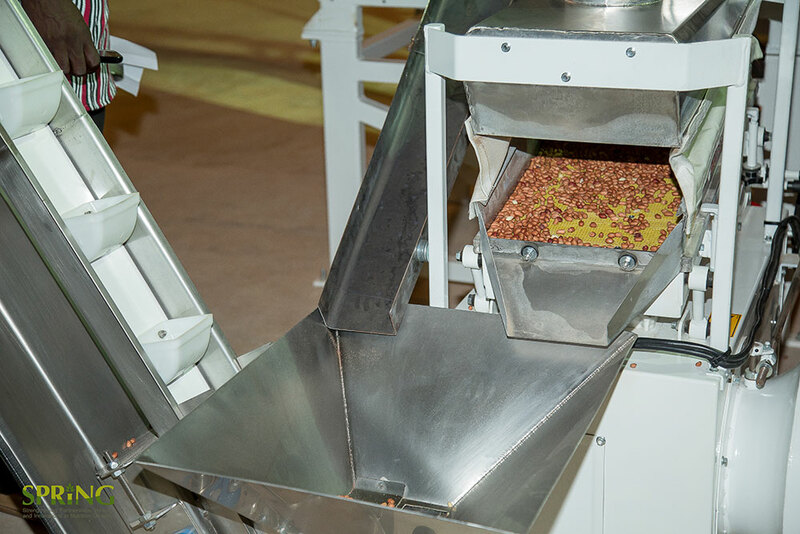 The use of the groundnut roasting equipment will contribute to the groundnut value chain in Ghana, help increase the incomes of Ghanaian groundnut farmers, and open a new market for Ghana to export high-quality raw groundnuts. 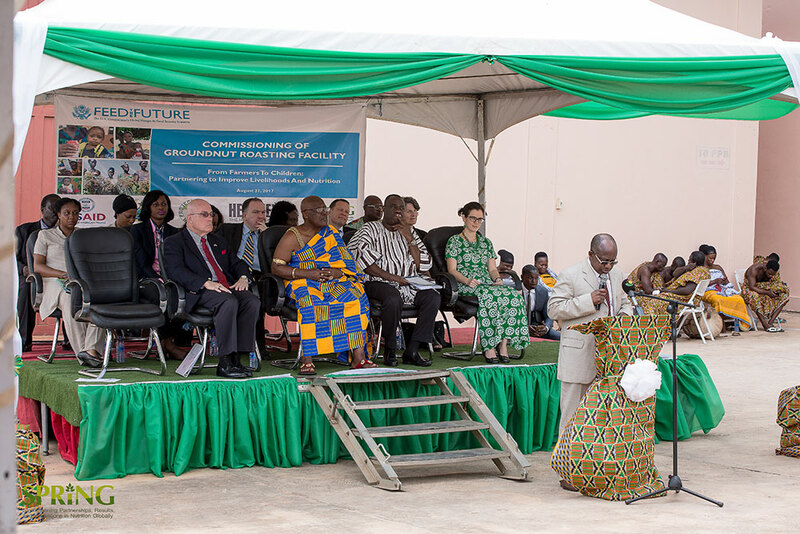 Immediately, the equipment will help boost the current production of a groundnut-based nutritional supplement to schoolchildren which forms part of the Ghana School Feeding Program. 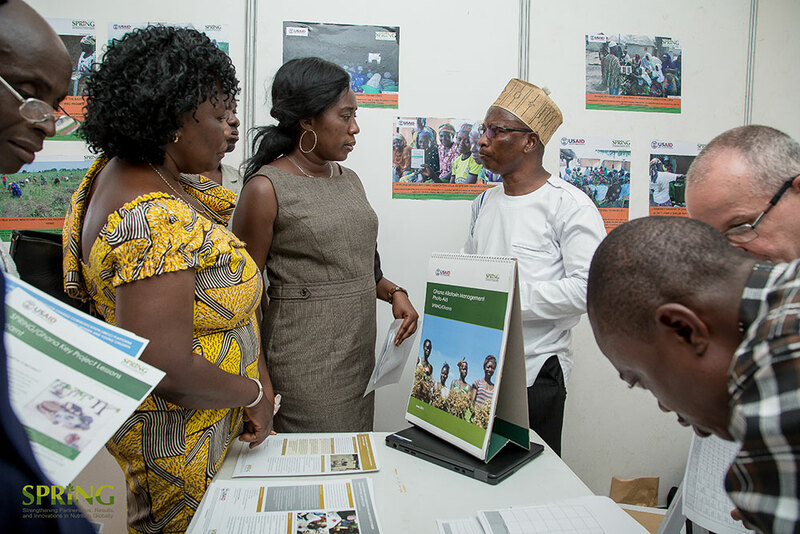 At the event, SPRING exhibited our work, highlighting our efforts to target groundnut farmers in northern Ghana to teach good agronomic practices. 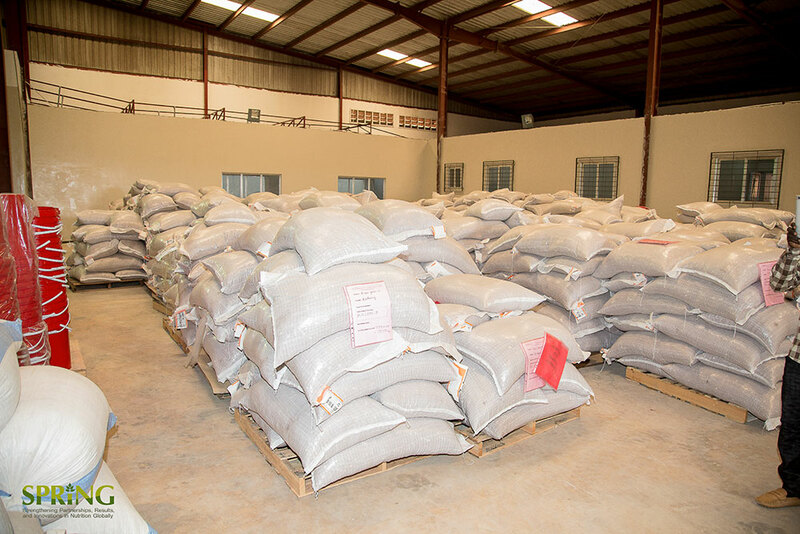 SPRING’s interventions in the region have focused on reducing aflatoxin contamination in groundnuts, which can adversely affect nutrition and the health of consumers. 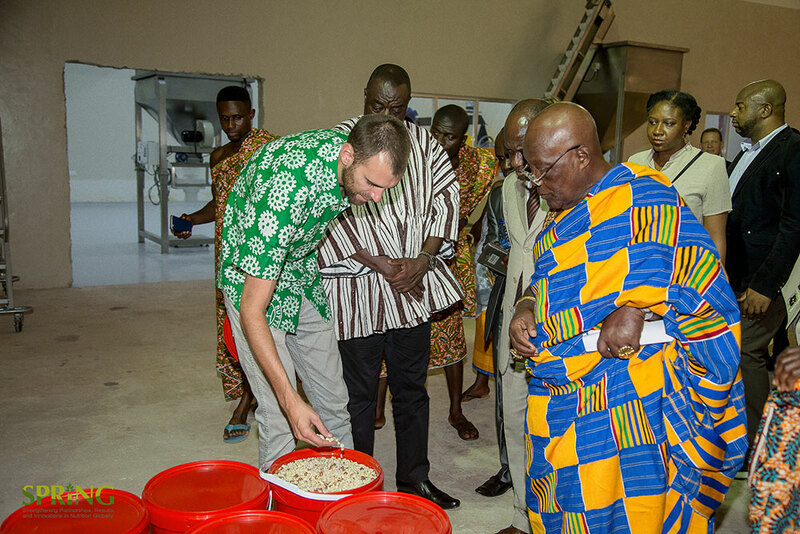 Attendees and dignitaries interacted with SPRING staff to learn more about our aflatoxin prevention work and links between nutrition and agriculture. 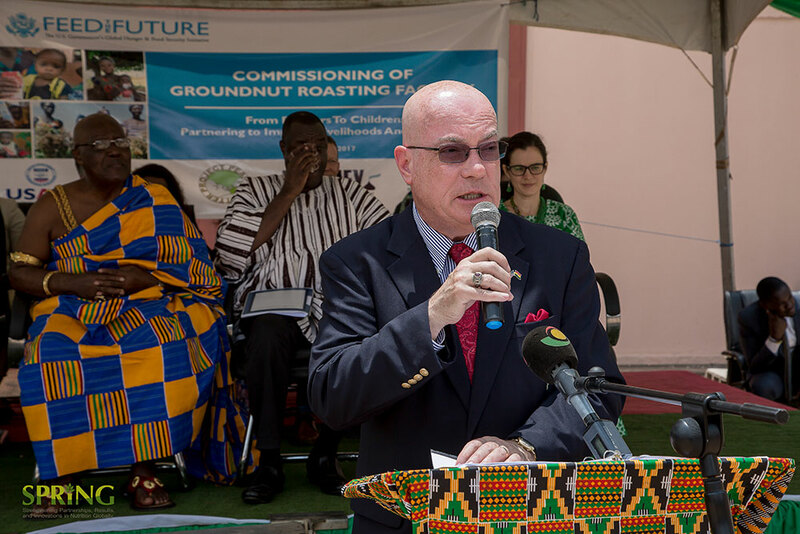 Attendees of the event included the US Ambassador to Ghana, the USAID/Ghana Mission Director and Health Office Chief, SPRING’s project director Carolyn Hart, Ghana's Minister for Business Development, the Royal Adontenhene (Representative of the Ashanti King, The Otumfuo), and the Deputy Director of the World Food Program in Ghana, among several others.